A man who was found guilty of manslaughter and sentenced to seven years’ imprisonment has lost an appeal against the severity of his sentence. Finding the sentence to be in the same range as other sentences involving a knife, which was a substantial aggravating factor, Mr Justice Peter Charleton said “absent an attack with deadly force and an action in self-defence to extreme circumstances, there can never be an excuse for the production of a knife”. In the Central Criminal Court in May 2016, having been tried for the murder of Dean Fitzpatrick, David Mahon was convicted of manslaughter and sentenced to seven years’ imprisonment. Mr Mahon denied that he murdered Mr Fitzpatrick, claiming that it was an accident – and before his trial, Mr Mahon had made a formal offer of a plea to manslaughter. In the Court of Appeal, Mr Mahon appealed against the severity of his sentence. Mr Justice George Birmingham upheld the sentence, finding that the sentence imposed was typical of knife manslaughters, and was in fact slightly less than the eight year sentences imposed by the Court of Criminal Appeal when resentencing in The People v. Dillon (unreported, Court of Appeal, 17th December, 2003), The People v. Kelly  2 I.R. 231 and The People v. Cooney (unreported, Court of Appeal, 27th July, 2004) – all of which were cases where a plea of guilty to manslaughter had been offered. Dismissing the appeal, Mr Justice Birmingham said “there were aggravating factors, the deceased was followed from the apartment, a large knife was produced during the course of the altercation, Mr Mahon left the scene, medical assistance was not sought. The relationship between the accused and the deceased was of relevance. On the other hand, it was a case where a plea to manslaughter was offered in advance of the trial, and where the appellant came before the Court without any previous convictions of any real relevance. The sentence decided upon by the sentencing judge was not out of line with previous sentences in cases that might be regarded as broadly similar”. On behalf of Mr Mahon, it was argued that the precise circumstances underpinning the sentence were unclear and require such unclarity to be construed in his favour, thus, reducing the term of imprisonment. Where a jury acquit a person accused of murder but convict that person of manslaughter, what facts are before the trial judge in sentencing for that crime and is there any further form of enquiry necessitated in order to find such facts and, if so, by what procedure? How does a trial judge approach setting a proper sentence which is valid in the context of the gravity of the crime of manslaughter, widely variable as such sentence is primarily based on the individual facts of the crime, but perhaps aggravated or mitigated by other factors? Was the approach of the trial judge in this case as to the facts before the court on the jury acquittal for murder but conviction for manslaughter correct and was the sentence appropriate? On questioning a jury, Mr Justice Charleton said all of the relevant authorities made two principles clear: “Firstly, it is not within the province of the trial judge, or of anyone, to interrogate a jury as to their reasoning. That should always be avoided. But, in very rare cases, where there is a clear choice between two or more avenues of fact to a verdict, or where a jury’s verdict will be ambiguous without a question being answered as part of the verdict, it is, secondly, within the discretion of the trial judge to pose a question. That question is limited to which scenario the jury accepts. In answering a question, the same majority should, if the verdict is by a majority, pronounce the answer to the question”. Mr Justice Charleton said that in this case, since asking a question of a jury is a matter of discretion, any suggestion on behalf of Mr Mahon that the trial judge ought to have interrogated the jury’s verdict could not be upheld. 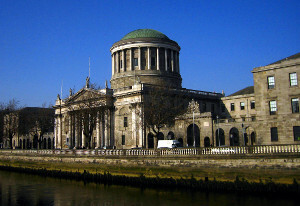 In regards to the aggravating factors of this case, Mr Justice Charleton also said that the introduction of a lethal weapon was unjustifiable, adding: “Absent a deadly attack, or an apprehension of such an attack on reasonable grounds, rarely can the introduction of a deadly weapon be regarded as anything other than a substantial aggravating factor”. In this case, Mr Mahon came after his victim with a knife, and on the jury’s verdict, he did not intend to kill or cause serious injury. Mr Justice Charleton said that Mr Mahon’s “introduction of a knife and, furthermore, his admitted brandishing of a knife is an aggravating circumstance. After the death, he made no effort to secure any possibility of assistance to a man very seriously injured by him. Instead, he fled the scene and disposed of the weapon”. Noting that no analysis had been provided by the sentencing judge as to the accepted facts, Mr Justice Charleton said “the best analysis possible on the remarks made by the trial judge was of culpability based on the introduction of a weapon and what the trial judge called a “spontaneous type action”. That may be interpreted only on the basis of what the trial judge said…On her analysis, it would appear that a lenient view was taken amounting to the production of a knife as part of a psychic assault and either an unfortunate spontaneous action or collision”. Mr Justice Charleton concluded, “Absent an attack with deadly force and an action in self-defence to extreme circumstances, there can never be an excuse for the production of a knife. A lenient view was taken of the circumstances by the trial judge. Since the emphasis in this judgment is on the function of the judge who has heard the trial interpreting the jury’s verdict, it would not be appropriate to interfere”.